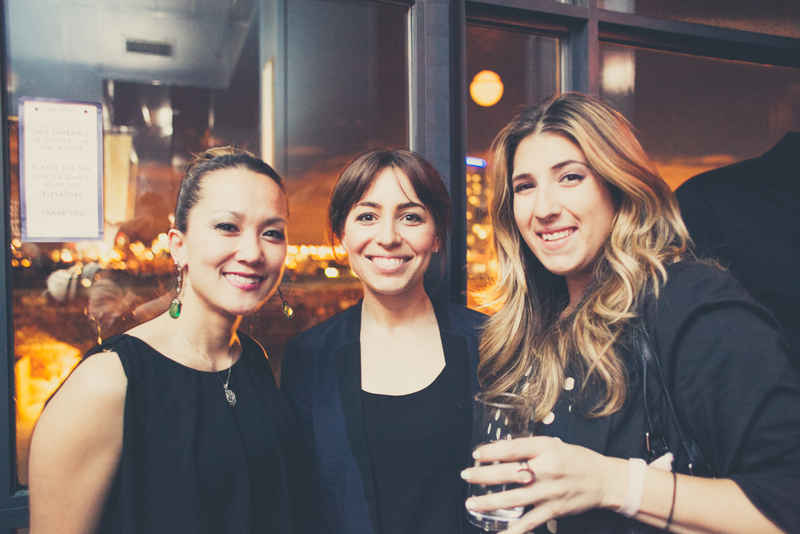 We couldn't have imagined a more wonderful space to have our first Entwined Event of 2013 in - the Wythe Hotel! Marisa, who runs wedding sales and planning at the Wythe, generously offer to give a tour of the event spaces available at the Hotel for participants who came early...check out the amazing spaces available! Captured so beautifully by the talented Amber Gress. Wedding planners documenting the gorgeousness! How stunning is this lower level intimate private event space?! ...me and Roey Mizrahi ohh-and-ahhing. Now up to the Ides bar for cocktails and mingling! Patricia and CJ enjoying the festivities! Hello Tammy Golson and Katie of Katie Fischer Design! B&W theme! BrklynView, Marisa from the Wythe, and me! Smiling faces! Katherine Cho and Shana Sperling Events. Check out that amazing sample of an Andrea Cohen lazer cut Chuppah! The lovely Jackie of NearlyNewlyWed. Robert Wagner and Allan Zepeda, such cuties! Brandi of Alexis June Creative spotting the "paparazzi"! Boys! Michel of Chellise Michael Photography, Allan Zepeda Photography, and Robert Wagner Photography! Right to left: Rebecca of Schone Design, me, Tory Williams, Jessa of Blades Natural Beauty, Sara of Sara Wight Photo. Michelle Edgemont and Molly of Glitter + Rye! Chellise Michael in the most dapper hat! Thank you to everyone who came, it means so much to me and Patricia to have you all there! Cheers!